I’ve been promising myself (and my mother) for several years that I would start writing letters. One would think my raging addiction to stationery and note cards would automatically have me using them, but, well, other than thank you notes, not so much. I have kept a journal for decades and poured all my thoughts and feelings into it (an average of 70 pages a month). But I realized that, while my journals hold all the evidence of how much I care for friends and family, they aren’t going to share. That’s on me. Writing letters satisfies the same need/urge as writing in a journal. In fact, I’m writing much less in the journal as I’m taking that drive into letters. People really do appreciate receiving them. Whether it’s a happy break from bills and “current resident” mail or the fact that someone took the time and spent the money on a stamp, or both, letters have been met with surprised pleasure. Technology dies hard. I write and receive Skype or email in return, but I told everyone at the outset there was no pressure to write me back. I am particularly amused by the older generation, for whom letters were standard, but now Skype me a response. The younger generation struggles with reading cursive handwriting. Some schools are even dropping penmanship from their curriculum, which gets me on my soap box every time the subject comes up. I won’t print for them, though. It’s a skill we’ll need for several generations, yet. I don’t want to think of a world in which people no longer write by hand. I’ve learned that I can write from my heart, just as I do in my journal, and let people get to know me in a way I haven’t for most of my adult life. A letter is a gift of oneself. It’s a tangible bit of caring that can be held in the hand instead of living in a device. Letter-writing really is becoming a lost art. I certainly can’t revive it on my own, but perhaps my efforts will cause a few ripples in the people I write to and keep it alive a little longer. I’ll let you know how the year of letters is progressing as the year goes on, but today I am hopeful that I have established a new habit and that I will be able to share my inner self with the people I care about in ways that journals don’t allow. Have you felt the same urge? Have you wanted to write letters or do you already? We’re writers here, so I imagine more of us write them than the general population. If we don’t write them, who will? What do you think will happen if personal correspondence moves entirely to electronic means? Will our great-grandchildren read about letters in history class? 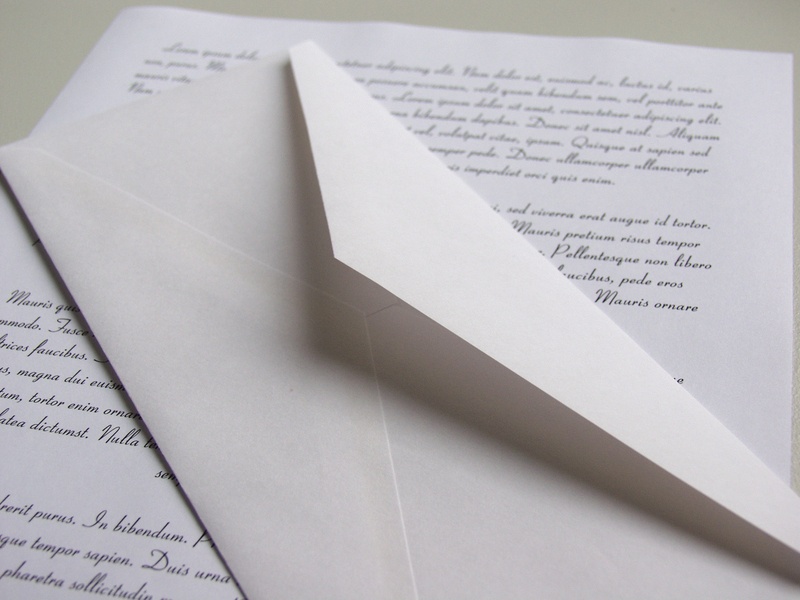 What is your reaction when you receive a personal letter in the mail?